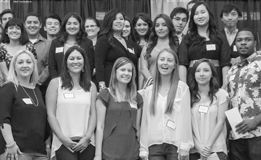 Do you need help finding credible articles? 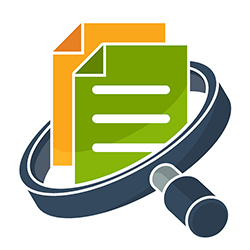 Our online How to Find Articles research guide can help you search efficiently. 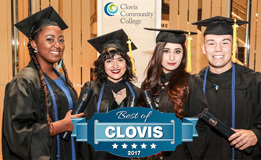 It will show you how to use the library databases to find articles from newspapers, magazines and journals, as well as reference materials and multimedia content. The General Databases tab introduces some of our most used databases. The Subject Specialized Databases tab discusses databases with a specific focus like science or art. In the Search Tips tab, you will find tricks to help broaden or refine your results. The last tab will help you understand the difference between scholarly and popular resources. 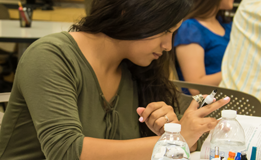 Come to the library and try your hand at creating a poem for National Poetry Month. 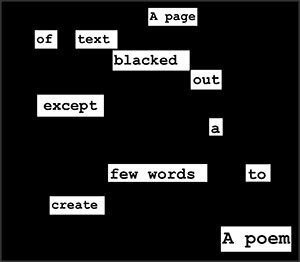 Blackout poetry is when a page of text is completely blacked out (colored over so that it is no longer visible) except for a few select words. 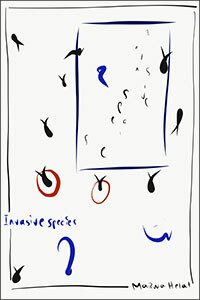 When only these words are visible, a poem is created from the existing text. Take a Library Laptop Home for a Week! 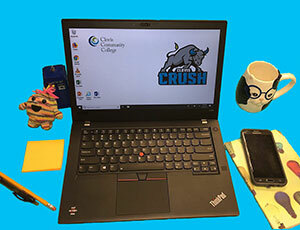 CCC students can now borrow a library laptop with a carrying case to use at home for an entire week. 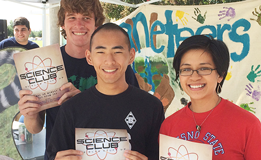 Bring your photo ID and sign the laptop policy form the first time you check one out. Then get to work on your paper or project whenever and wherever you want! Just be sure to save your work to the cloud or a USB drive rather than on the laptop itself. 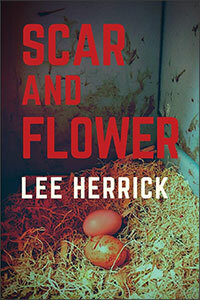 This collection of poems is alternately gritty and transcendent and will help us find the spirit in our stark, hardscrabble lives. 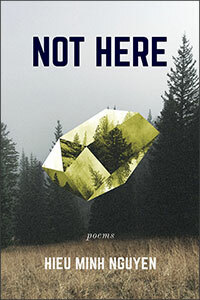 Physical, psycho-spiritual, and linguistic displacement a nexus of poetic lines that course through this restless, memoiristic, and deeply felt debut. 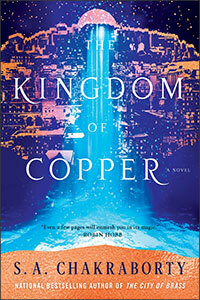 Nguyen explores Asian American identity and queer identity with acerbic wit and an open heart. There is blazing life in every ferocious line. 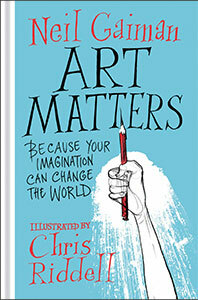 A stunning and timely creative call-to-arms combining four extraordinary written pieces by Neil Gaiman illustrated with the striking four-color artwork of Chris Riddell, Gaiman's longtime illustrator. We all write, all the time: books, blogs, emails. Lots and lots of emails. And we all want to write better. 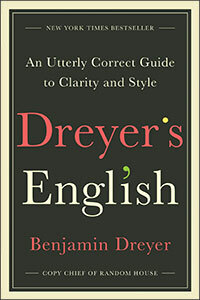 Dreyer is here to help while making it an utter treat for anyone who simply revels in language. A spirited book about the science and art of making dictionaries. 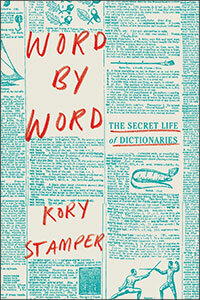 Seen through Stamper’s eyes, a dictionary is not only a reference source but also a living linguistic record and a window into history. 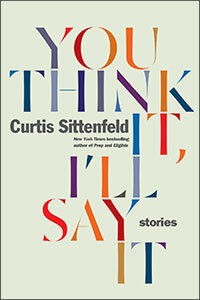 Throughout the ten stories in You Think It, I'll Say It, Sittenfeld upends assumptions about relationships, class, and gender roles in a nation that feels both adrift and viscerally divided. The adventures of City of Brass continue in a world where djinn summon flames with the snap of a finger and waters run deep with old magic; and a clever con artist from Cairo will alter the fate of a kingdom. 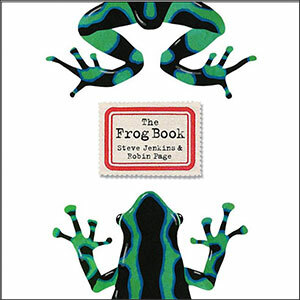 In this magnificently illustrated picture book, a Caldecott Honor-winning team presents a stunning array of these intriguing amphibians and their many amazing adaptations to survive.